Happy Thursday! 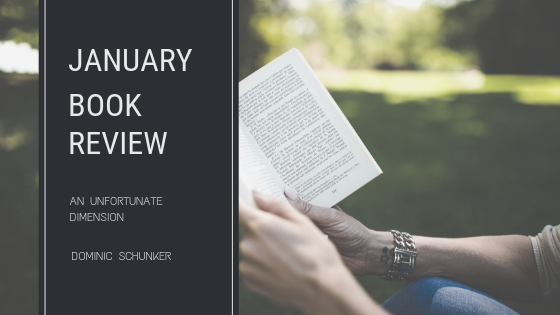 Welcome to (almost) the end of January and the first review on the blog for 2019. Today, I'm reviewing a psychological science fiction thriller. If that's your cup of tea, then keep reading to see what I thought about this debut novel. Disclaimer Tag: The book for this month's review as provided to me for free by the author in exchange for a fair and honest review of their work. On the surface, Salvador has the life we all would love to have - a beautiful wife he loves with all his being, a good job at a virtual reality (VR) tech firm, a house, good friends... the works. When Jemma falls into a coma and does not wake up, Salvador turns to the virtual world for a solution to the real world nightmare she seems to have fallen into. Her doctor's grim pronouncement that Jemma has seven days before they pull the plug pushes Salvador into a desperate attempt to wake her up that only brings up more questions. In the midst of his search for answers, Salvador is drawn into the case of a young girl who has gone missing. What does it have to do with Jemma's coma? And how does any of it relate to a man who's been shot? One of the first things I thought at the end of this book was "That was very Inception-y". I mean that as a compliment, because Inception and An Unfortunate Dimension are both compelling stories where a man finds himself stepping outside of the reality we know to get back the life he wants the most. In this case, Salvador uses virtual reality to try to figure out why she's not waking up and how to bring her back. Thanks to the VR tech in the story, the realities Salvador explores in his quest have weight and feel almost as real as the real world of the story. I could feel his disorientation as he went between virtual reality and real life, including the way it grew worse as the story went along. Salvador as a character is not the most relatable for me (hello - single white female here). However his love for Jemma was real. His grief felt genuine, and his determination to make things right was compelling enough to keep me in the story where I might have disengaged from the story otherwise. The only quibble I had was with a piece of Salvador's backstory. He's an American of Cuban descent and talks about going on a trip to Cuba with an older family member. The problem is that unless the trip was a recent one (or the story is actually set further into the future that it seems), it would not have been possible. From the 1960s until sometime in 2015, there was a ban on most travel between the United States and Cuba. It's been a long time since I've read much fiction with a psychological bent to it (think late high school/early college years). I'm glad I took a chance on this story because it blended two things I love together beautifully. An Unfortunate Dimension is Schunker's first novel, and I'm low-key excited to see what other stories he puts out.